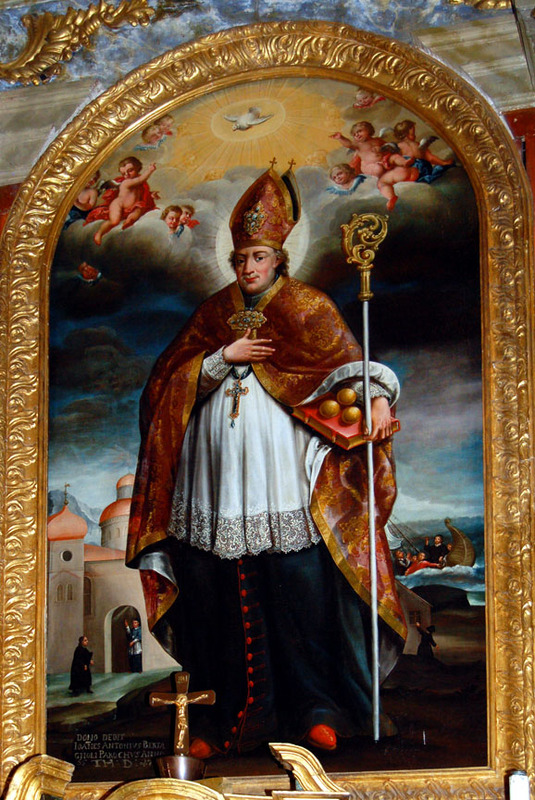 Today’s guest blog post comes from one of our readers, John Fellin. 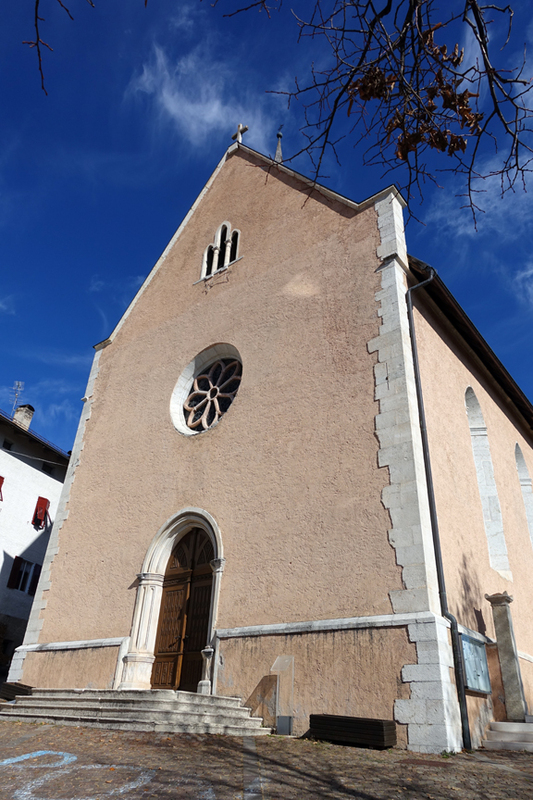 Since many of us make pilgrimages back to our ancestral roots in the Trentino-Alto Adige, John’s post will be of particular interest to our travelers. My husband and I often travel by train while visiting Northern Italy and I found this to be very helpful information. Mille grazie John! Below is a translation from the regional newspaper Il Dolomiti about a new train service uniting three great Tirolean cities. The service restores a previous service that was severed when Italy annexed the South Tirol. It means that if you’re visiting the Val di Non, you can take “al tram” (the light rail line) to Mezzacorona and transfer to this new service to go to Innsbruck. “ÖBB train” stands for the Austrian Federal Railways (German: Österreichische Bundesbahnen or ÖBB). 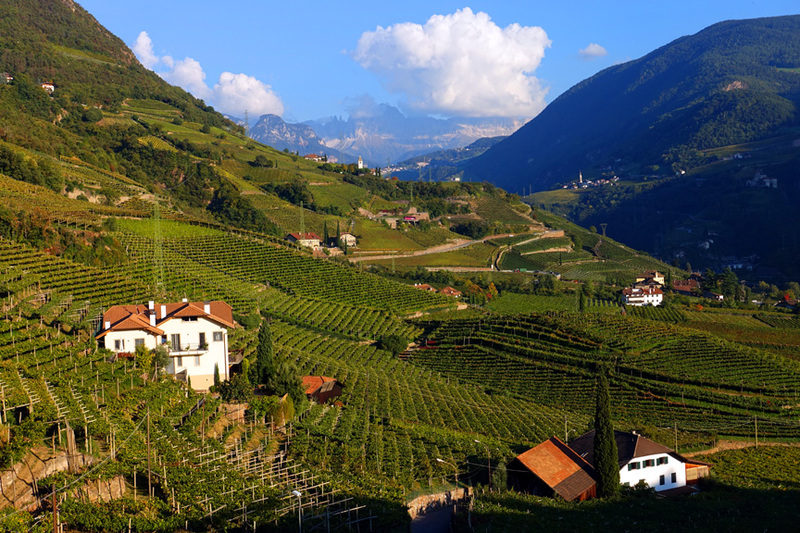 For the first time a direct, round-trip train will be established between Trento/Trient, Bolzano/Bozen and Innsbruck. In addition to this there will also be an Italo return train from Bolzano/Bozen to Rome. This is the news from December 9th that will come into force with the new timetables for trains and buses in Trentino – Alto Adige/SudTirol. There will be an ÖBB train which will depart in the morning and in the evening, will connect Trento/Trient, Bolzano/Bozen and Innsbruck in both directions. In the morning it will start from Trento/Trient at 6:40 am and with intermediate stops in Mezzocorona/Kronmetz (6.52 hours), Egna/Neumarkt (7:05 am) and Ora/Auer (7:10 am), arriving in Bolzano/Bozen at 7:28 am, arriving in Innsbruck at 9:02 am. Departure in the evening from Innsbruck is at 9:00 pm, arrival in Trento/Trient at 11:59 pm. There will be a new connection between Bolzano/Bozen and Trento/Trient, departing from Bolzano/Bozen on weekdays except Saturday at 20:06. 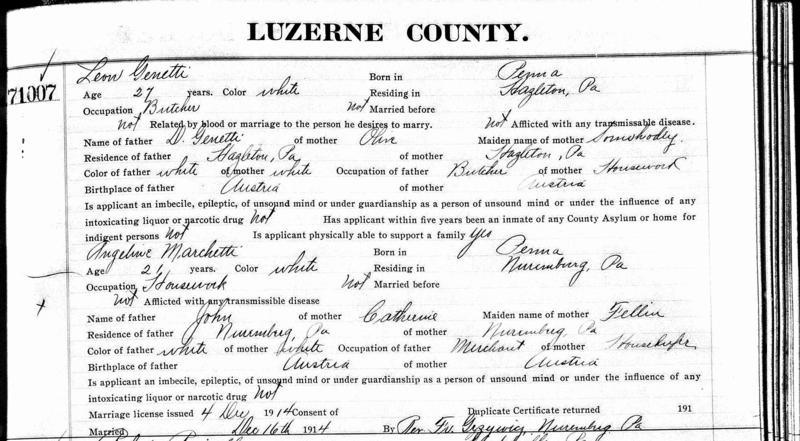 John is a second generation, 100% Tyrolean American, with all of his grandparents hailing from the Val di Non. He speaks both Italian and Nones, and has remained in-touch with his Trentini cousins. His father’s family is from Revo and his mother’s side is from Vigo Ton (Vich per Nones). 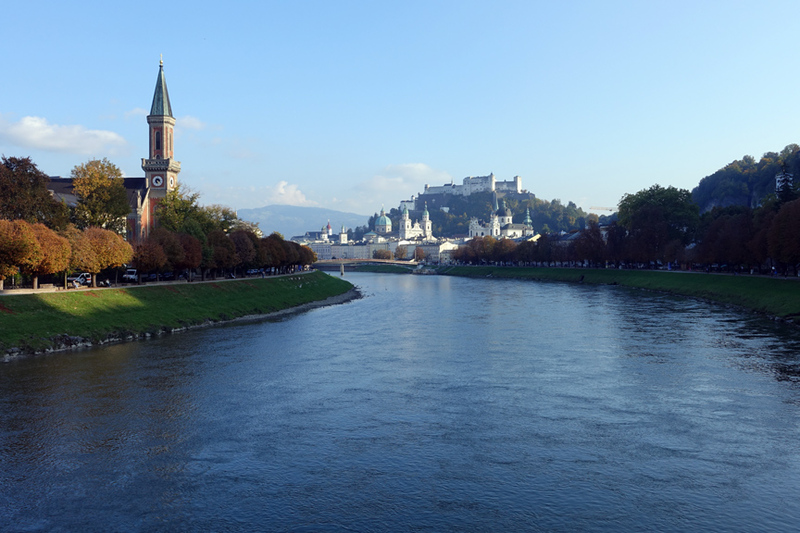 View of Salzburg from the Salzach river. Originally built in 1077, the medieval Hohensalzburg Fortress can be seen on the hill towering above the city. Leaving Berlin on October 6th, we hopped a plane to Salzburg, Austria, the next stop on our 2018 trip. 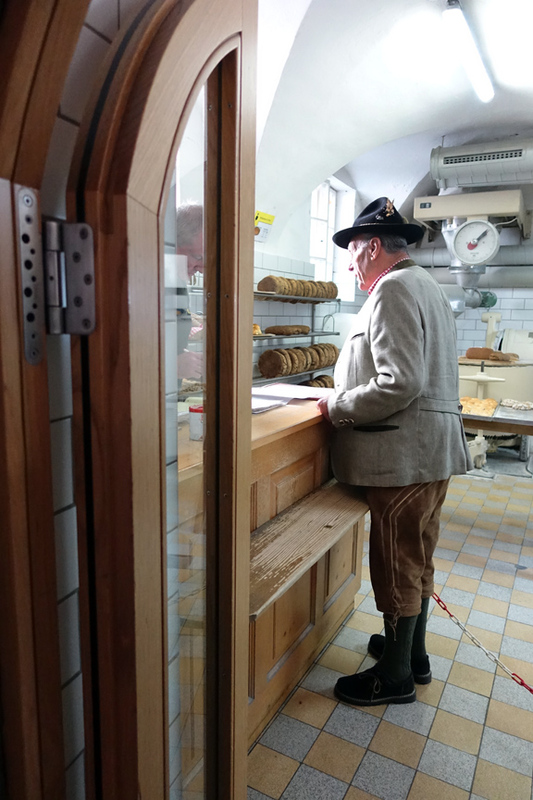 Michael had reserved four days in this charming little city located on the banks of the Salzach river. Although I have no genealogical ties to Salzburg (that I know of), it felt like a step back in time to my original Tyrolean heritage. 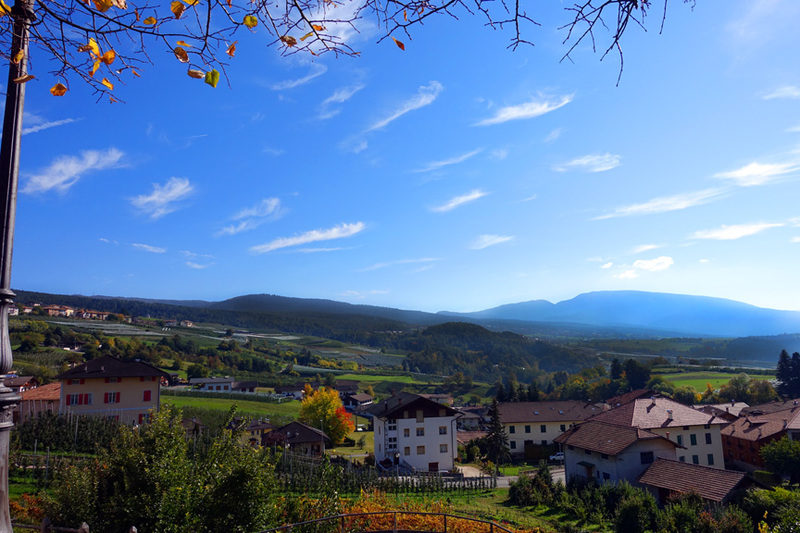 As you may remember from previous posts, Trentino was part of the Austrian Tyrol for many centuries and the culture of Austria certainly influenced our ancestors in many ways. So quaint and picturesque, I fell in love with Salzburg the very minute we stepped onto its cobblestone streets. 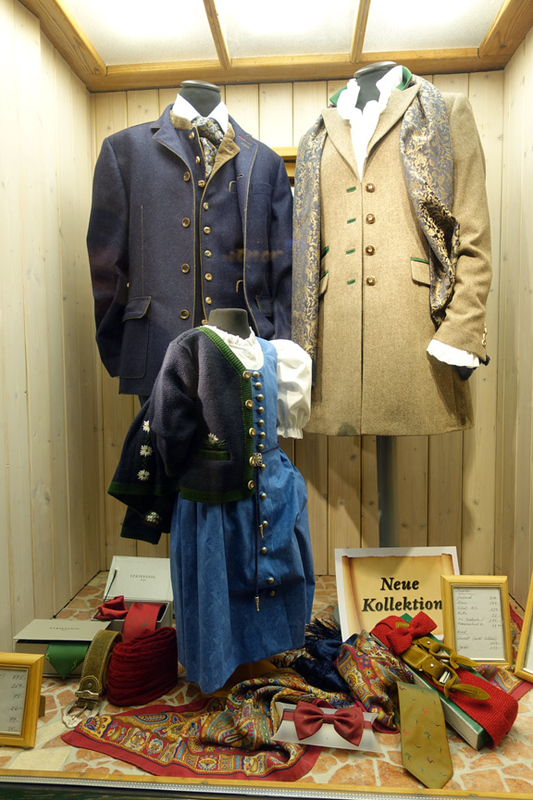 Shop windows displayed traditional Tyrolean woolen jackets, leather lederhosen and dirndl dresses. Rows of cuckoo clocks patiently ticked away in another store window. At a third shop intricate beer steins and green felt Tyrolean hats beckoned. Restaurants were decorated in knotty pine paneling with carved wooden chairs selling mugs of beer, plates of sausages, and scrumptious apple streusel. On our first afternoon we asked for a recommendation to a traditional beer garden. After a bit of walking, we found ourselves at a lovely garden located away from the usual tourist area. My husband ordered a frosty mug of beer and I imbibed in a local Riesling. A few tables away a small wedding party celebrated their afternoon nuptials. Dressed in stunning Tyrolean couture, they laughed and toasted each other. The men wore smartly tailored jackets with knee-length leather pants; the women were in beautiful pastel and white dirndle dresses carrying small nosegays with their hair coiffed in braids and pinned to frame their faces. A memorable afternoon indeed! 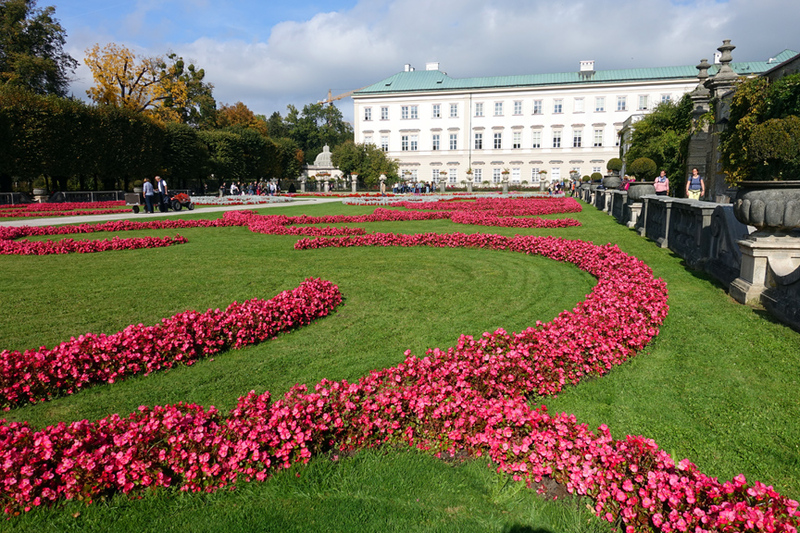 If you are a fan of “The Sound of Music” you’ll remember the original story of Maria and the Von Trapp family took place in Salzburg. Although the movie is somewhat fictionalized, it does embody the spirit of the real-life Maria. Filmed in and around Salzburg, it was great fun searching out the original sites pictured in the movie. 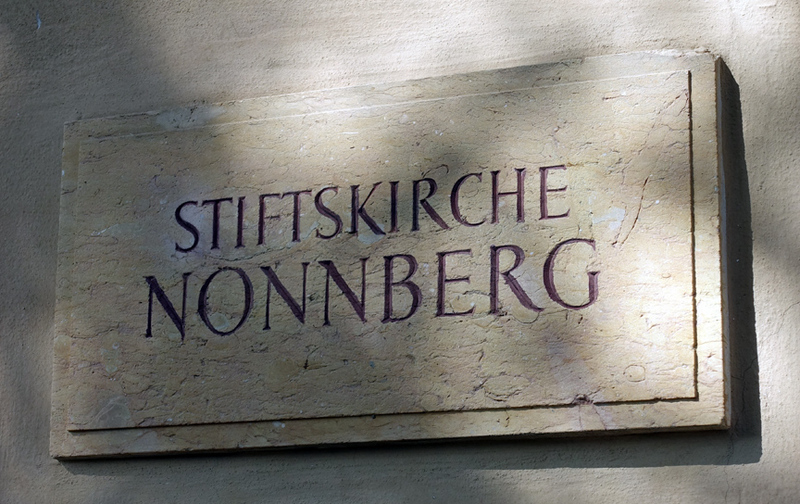 We climbed the steep stairs to reach the Abbey of Nonnberg (the oldest continuously existing nunnery in the world dating back to the year 715). 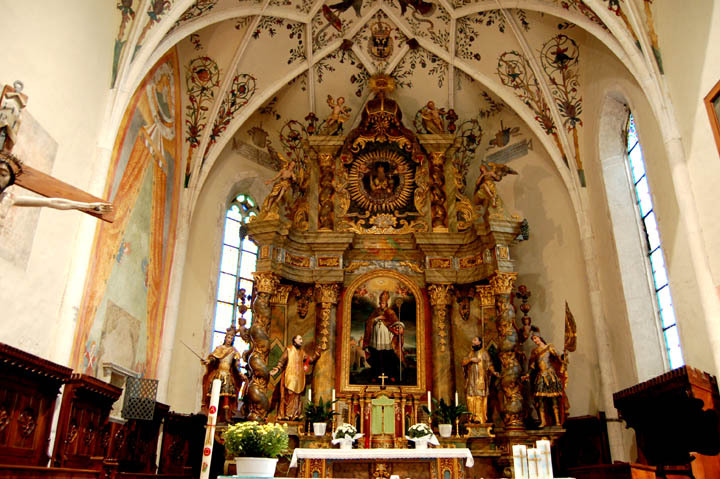 The original Maria was a novice at Nonnberg and she was married in the abbey church. It is a rather simple, dark church, nothing like the grand cathedral pictured in the movie. We also walked through the beautiful Mirabell Gardens pictured in “Do Re Mi” and photographed the Pegasus Fountain from the same musical number where the children danced along the edge. Tourists who visit Salzburg often book a “Sound of Music Tour” that buses you around to each location in the film. But we found it much more fun exploring on foot and discovering the sites for ourselves. 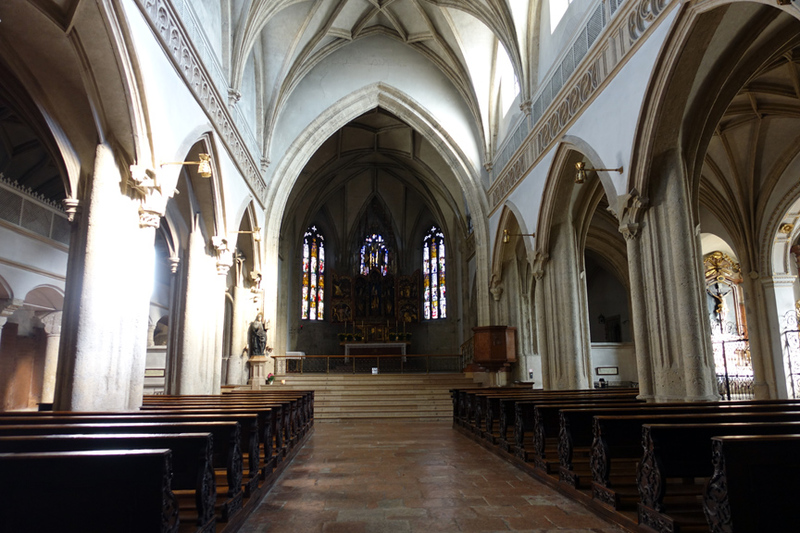 The church at Nonnberg Abbey where the real-life Maria was married. When we arrived home in November I had to watch the movie again. The film is now 52 years old, but Salzburg hasn’t changed much and I could easily point out many sites we had visited. Michael and I spent many happy hours trekking over the hills surrounding the city (remember – The Hills Are Alive with the Sound of Music! ), photographing sites of interest, strolling the river promenade and enjoying a city of heritage and culture, the birthplace of Mozart. What a wonderful way to spend four days in Austria! 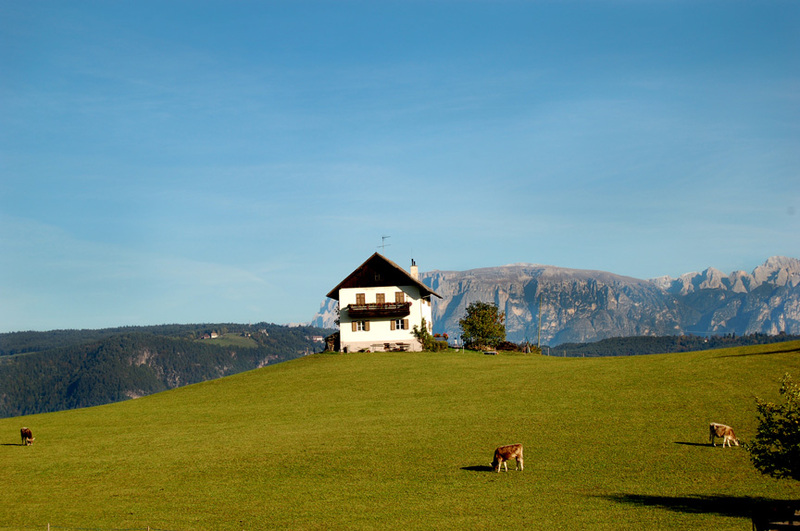 When was the last time you saw The Sound of Music? I recommend purchasing or renting the 50th Anniversary Edition. The entire extra hour at the end is an interview with Julie Andrews! She visits Salzburg to celebrate the 50th anniversary, sharing memories and photos from the original filming. I absolutely loved it! Part 1 – London, Berlin and a Cousin Coincidence! Everyone loves a good bargain and so do I. That’s why I decided to add a Sales page to our website. This page will keep you up-to-date on current sales happening in our Genetti Family Redbubble shop. FYI – I have no control over sales nor do I know ahead of time when they will take place. All sales are set by our printer, Redbubble, and I am notified on the day of the sale. Most savings events only last 24 hours, so it can be difficult to send out a blog post for every sale. Now you can check the Sales page for this information. Know exactly when to shop and save, save, save on purchases of fine art prints, family tree prints and posters, mugs and journals! Click here to check today’s sales alerts! A new page has been added to our family website: Genetti Family Directory of Services, Businesses and Creators. Since our family is filled with entrepreneurial spirit, I thought it was about time that we created a directory in support of Genetti family businesses. Please help me grow our directory by adding as many family businesses, services and creators as possible. 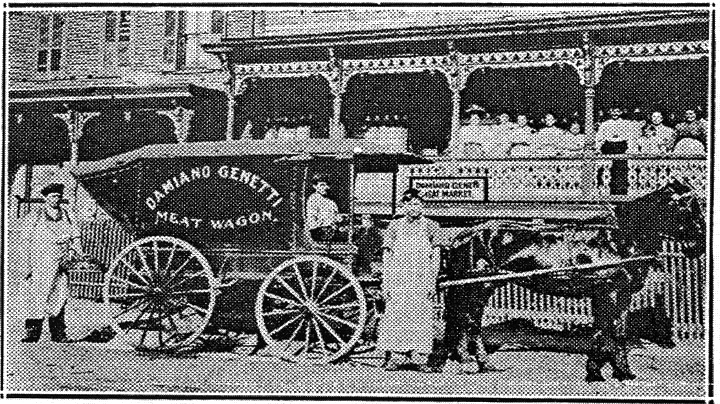 The person or owner of business must be a Genetti descendant or spouse of a Genetti descendant. The listing must fit into one of these categories: business, service, creator (artist, musician, author, designer). The listing must have a website address that we can link to. All listings are free of charge. If you would like your business or service listed or know of someone who should be included in our directory, please use the Contact form on our website. Send the business or person’s name; description of business, service or creator’s specialty; and their web address. I’ll take care of the rest. I hope you enjoy visiting the websites listed in our Family Business Directory as well as patronizing their services and creations.